Procurement isn’t the most exciting topic in the world, but for large businesses, it’s an area where inefficiencies can quickly affect the bottom line. Simply getting a complete view of all of the products and services that a company buys is a challenge in itself, though, which in turn makes it hard to find savings, ensure compliance with company policy or government regulations or detect potential fraud. Suplari wants to change this by bringing its AI systems to bear on this problem. The company today announced that it has raised a $10.3 million Series A round led by Shasta Ventures. Existing investors Madrona Ventures and Amplify Partners also joined this round, as well as new investors Two Sigma Ventures and Workday Ventures. 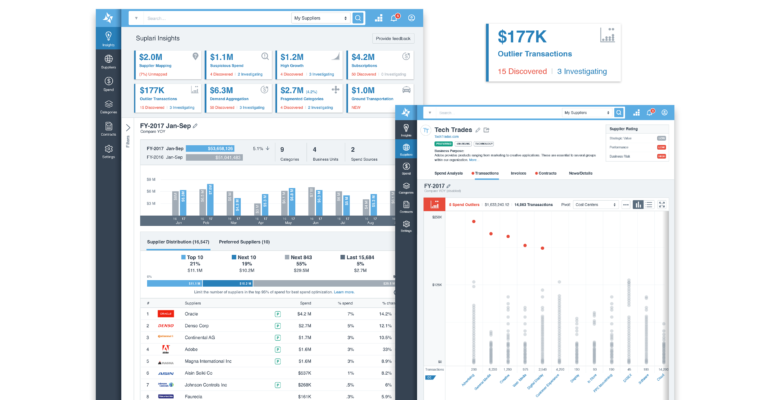 “Suplari uses advanced artificial intelligence on top of existing enterprise systems to proactively uncover the highest-value opportunities to pursue and empower the CFO or Chief Procurement Officer to unlock savings and profit that can be invested in growth, innovation, and their people,” said Suplari CEO and co-founder Nikesh Parekh in today’s announcement. The company’s cloud-based service allows businesses to analyze all of their procurement data across platforms and formats. This data can include contracts, purchasing data, product usage information and data from corporate credit card accounts. A number of Fortune 1000 customers have already signed up for the service and Supplari argues that it has helped its customers save software licensing fees by 33 percent and consolidate $200 million in professional service and temporary labor suppliers. Posted in Software Development and tagged Artificial Intelligence, Enterprise, Fundings & Exits, procurement, Recent Funding, Startups, Suplari.